These courses are designed for parents or carers of children and young people aged 8 to 16, with a diagnosis of an Autistic Spectrum Disorder. The course aims to improve participants’ confidence in managing the challenges faced when raising a child with ASD. 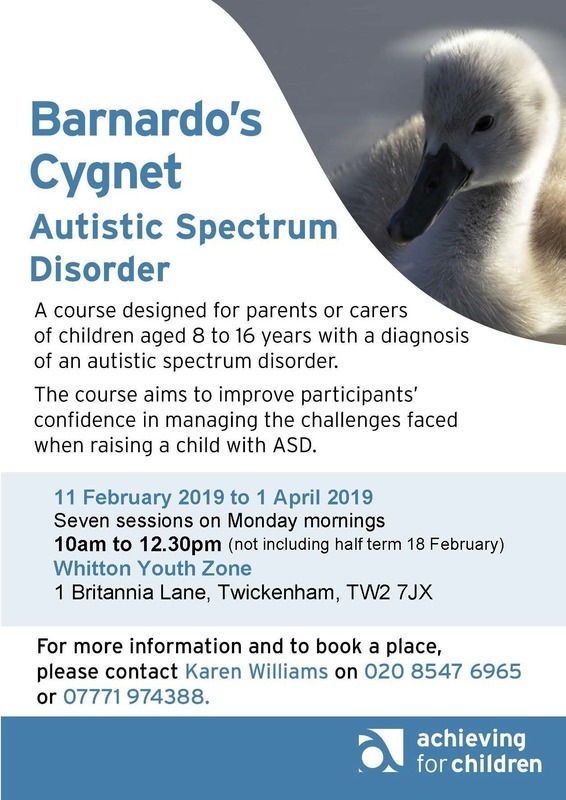 The Cygnet programme covers - What is autism?, communication, sensory issues, understanding and managing behaviour and siblings. This programme is over seven weeks for two and a half hours each session.